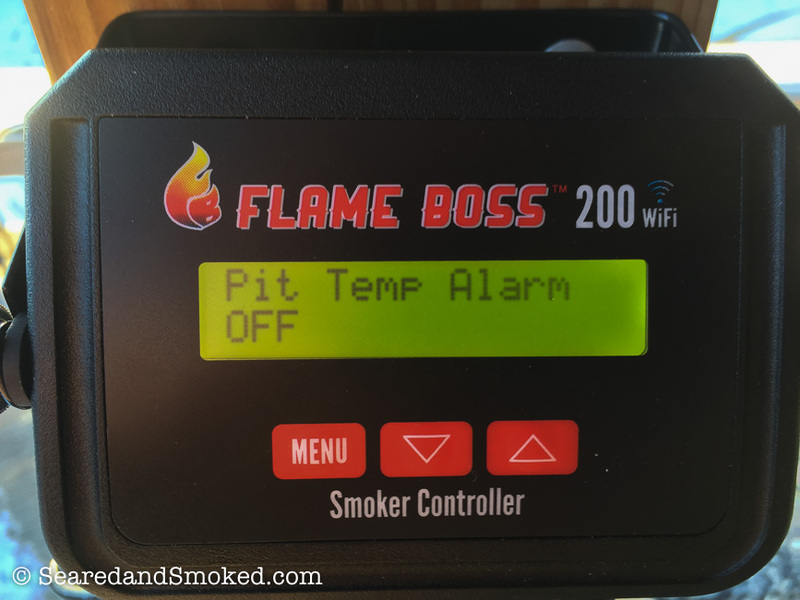 If you are short on time, let me start by saying I love the Flame Boss 200 Wifi Temperature Controller. From unboxing the product to smoking setup, the process was a breeze. 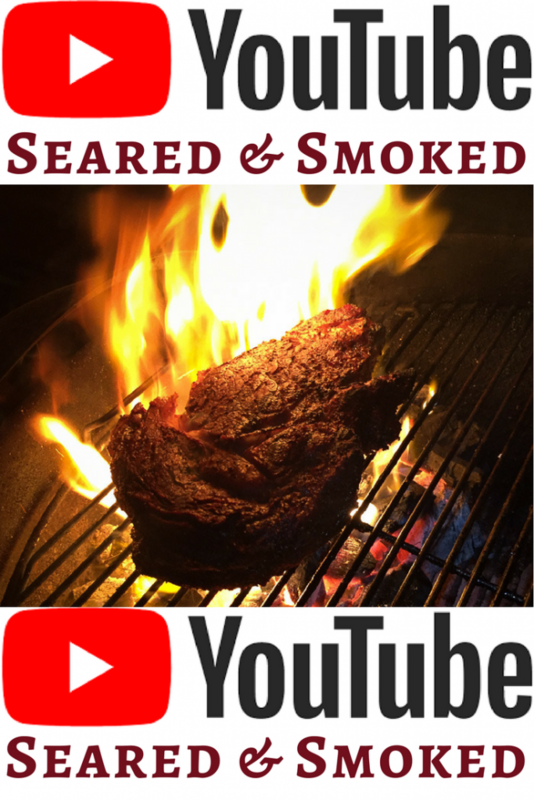 You can literally have the unit connected to your WiFi network and up and running attached to your smoker within 5 minutes. 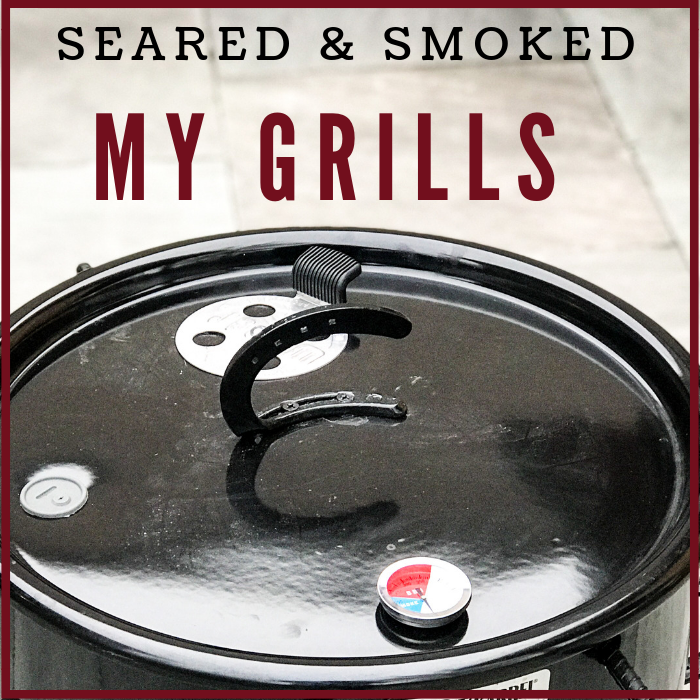 It keeps the smoker at the target temperature and the user interface is simple and a joy to use. There is practically no learning curve to this little device. You can control temperature settings from the device itself, or through the online web interface that you can access from any web browser. You can now sleep easy as your brisket smokes overnight or adjust the temperature of your smoker from your son’s Saturday baseball games. You can purchase it for $345. Worth every penny. 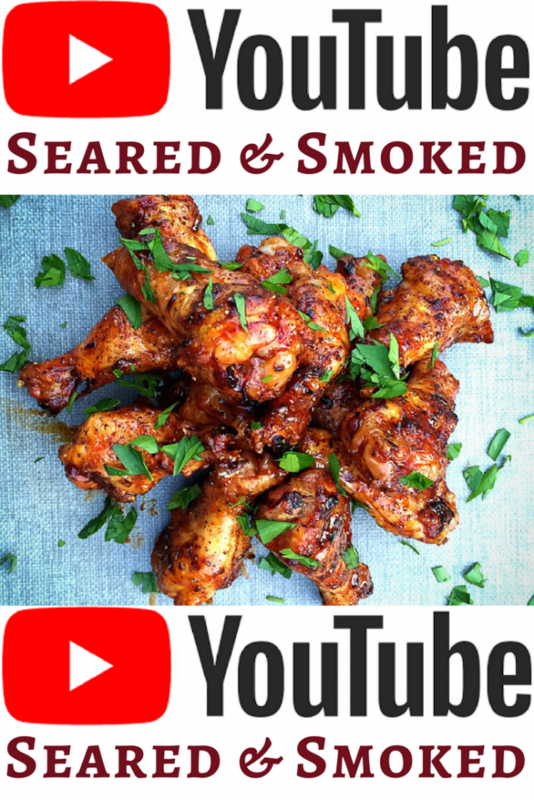 If you prefer watching video…. below is my video review of the flame boss 200 WiFi unit. 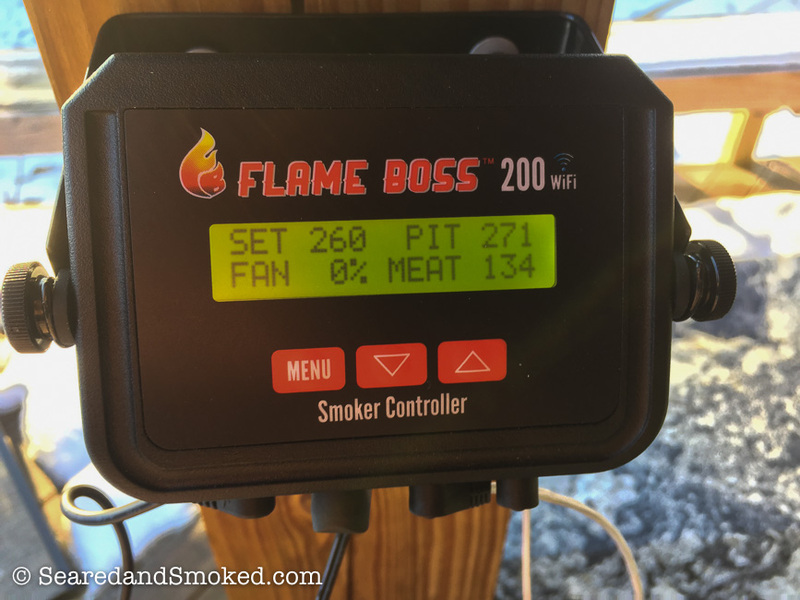 Flame Boss 200 Wifi setup: pit temperature probe and meat probe connected and control fan attached to the lower vent. AC power supply for constant power. When I unboxed the Flame Boss 200 WiFi, I was surprised how small the the device was and impressed with the overall quality of the temperature probes. 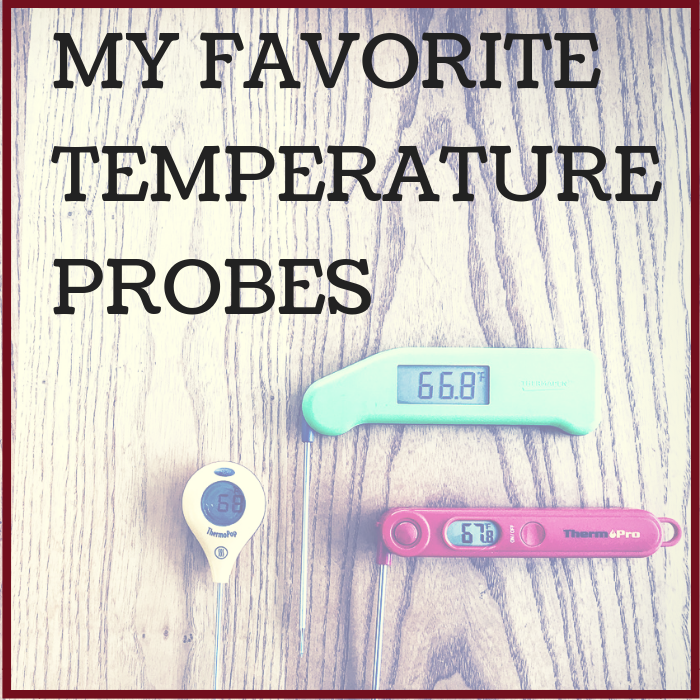 I have used a lot of temperature probes and and these have to be the highest quality. They are braided stainless steel, which is what I am used to. However, the Flame Boss takes them to the next level coating them in a thick silicon film. This makes them unlikely to kink and gives them one more level of protection to high heat and moisture. 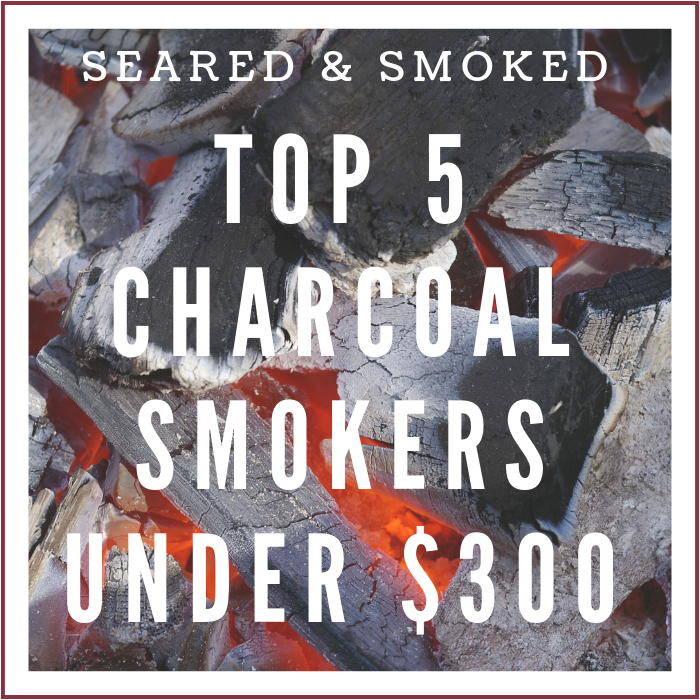 One meat probe and one smoker probe is included. 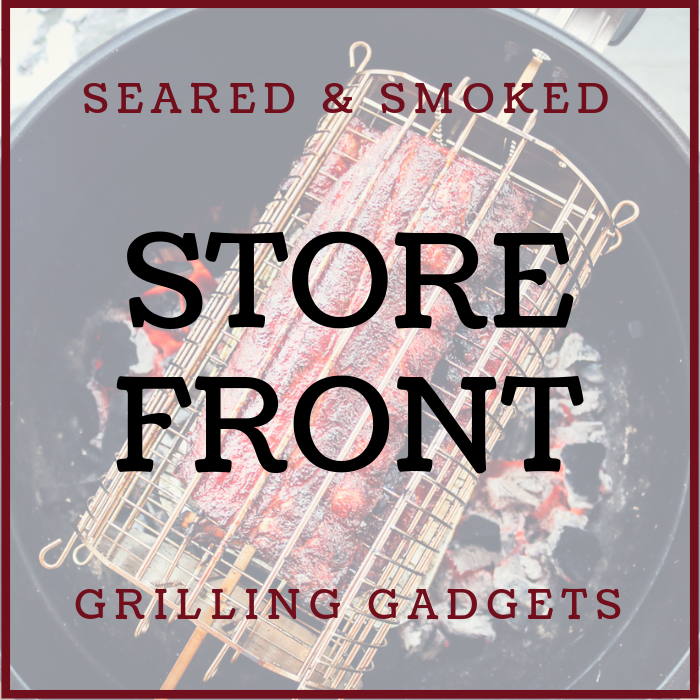 The smoker temperature probe has a clip on the end, making it easy to locate to a specific grill grate in the smoker – a feature all smoker temperature probes should have. 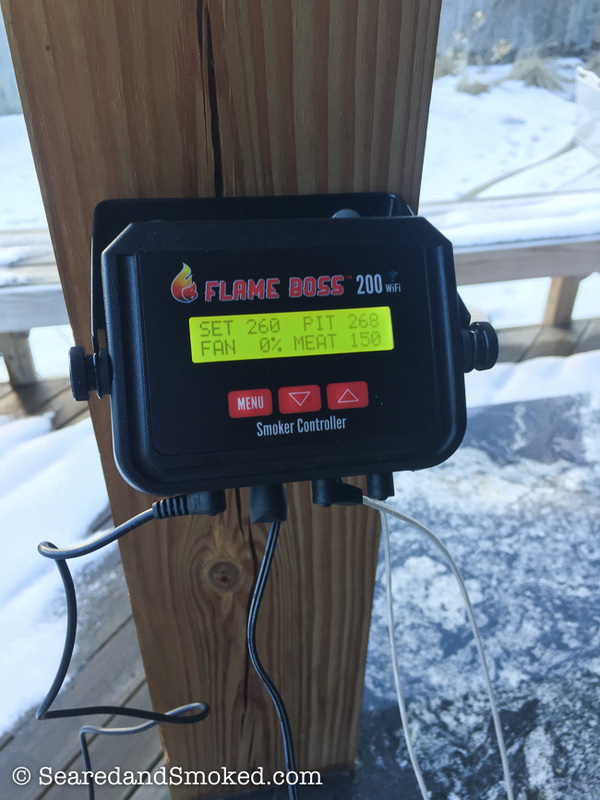 The device can only monitor one pit temperature and one meat temperature. Some people may want more probes, but this works great for most backyard chefs. A close up of the pit temperature probe. 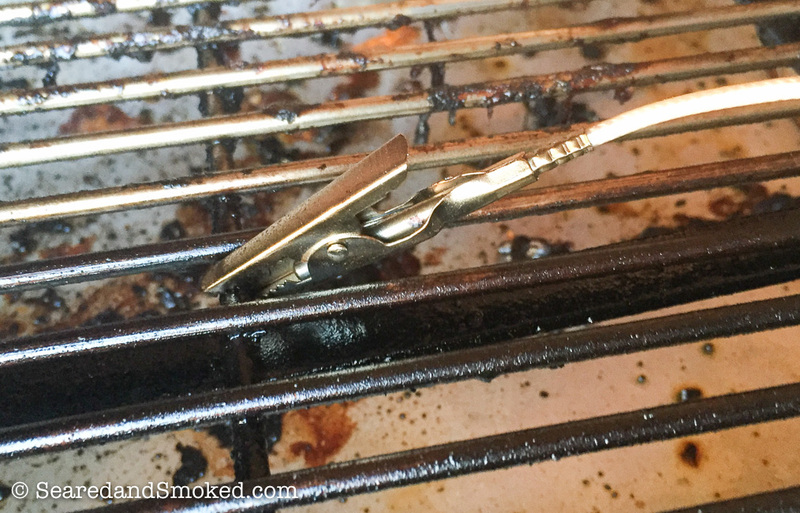 The clip makes it easy to attach to any grill grate to read temperature where it matters. The fan is small and adequate for backyard smokers. It is variable speed, which means the Flame Boss has more control than a single speed fan. Basically, it allows the Flame Boss to feed the exact amount of air to the charcoal needs to stay at the target temperature. Externally, it is made of plastic with a metal interface where it connects to the smoker. If an upgrade were to be made to the unit, this would probably be my only recommendation. A metal housing for the fan would give it a more durable feel. That being said, the fan works fine. The fan is connected to the smoker using one of the 3 adapter plates included. 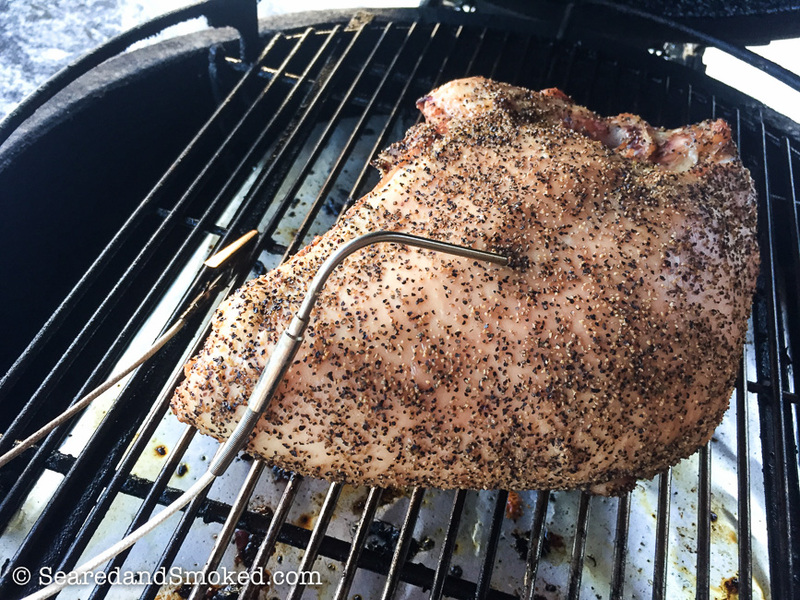 I use a Large Big Green Egg for my long smoking sessions, which takes the middle sized adapter. You simply slide the plate into the bottom vent (make sure the long side is vertical for a tight fit) and then close the screen and solid vent cover over the adapter. After the adapter is in place, the fan simply clips onto the adapter, staying in place held by gravity. It is a nice little design feature and easy to install and remove. The fan installation is the only physical installation needed to get up and running. The only part left is to connect your system to your wireless network and verify you can control it online. With the Flame Boss, this process was surprisingly simple. All you have to do is pick your WiFi network and then enter your password. Your unit is then connected to the Flame Boss data collection network. After connected, all you have to do is setup a username and password at myflameboss.com and verify your device. Too easy! The controller is small. It fits in the palm of your hand. It comes with a bracket you can use to prop up the unit on a countertop, or mount it to a vertical surface. I have mine mounted on a post next to my smoker. Both the fan cord and the power cord are only 6 ft or less. It would be nice if they were a little longer, but they worked out OK for my setup. 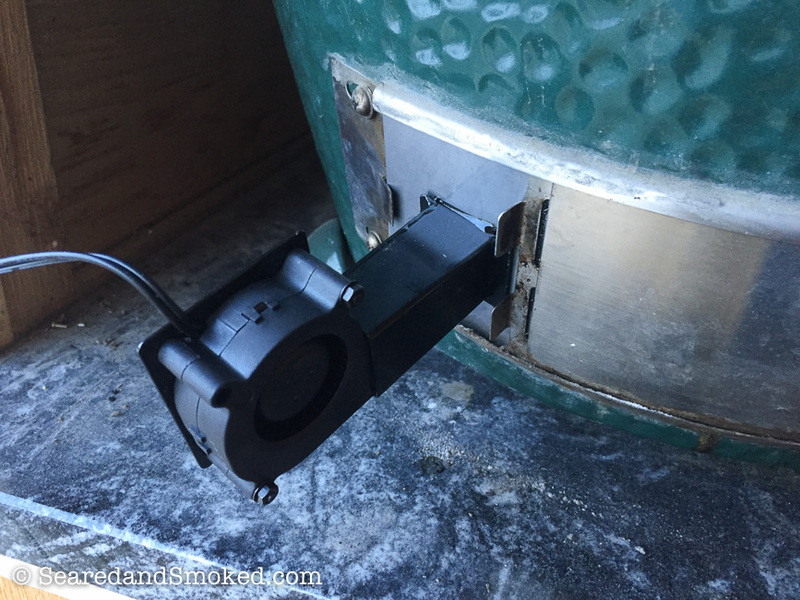 Flame Boss fan connected to my Big Green Egg vent. It is very easy to install and remove. 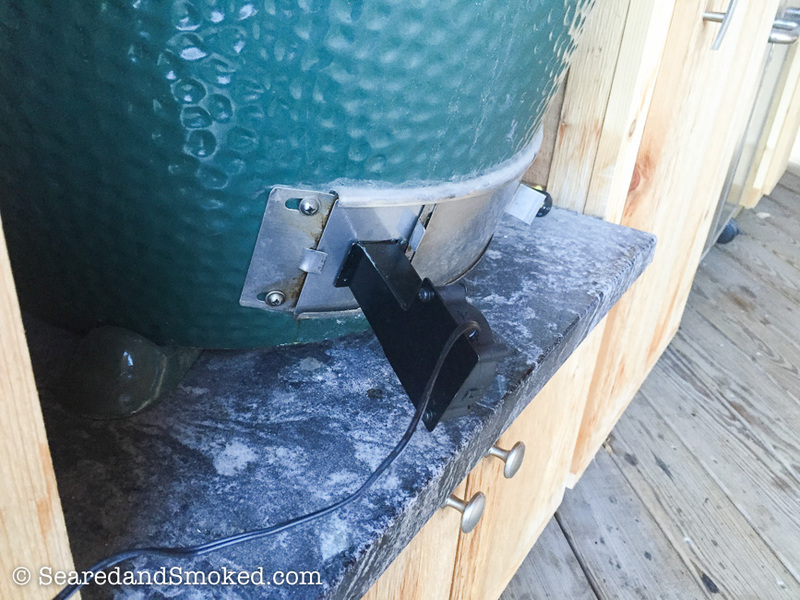 A close up shot of the fan connection to the lower vent of a Big Green Egg. I love the simple interface on the Flame Boss 200 WiFi. There are only three buttons. A menu button that allows you to scroll through the different settings and one up/down arrow for setting adjustments. 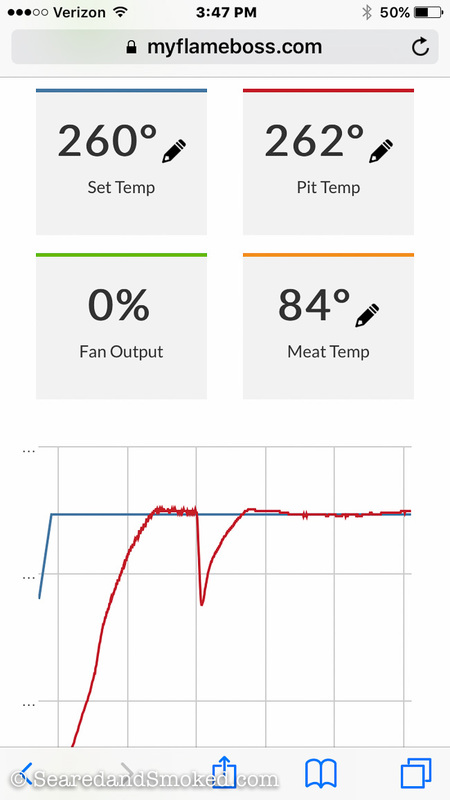 When the device is in its default display it shows the target temperature for the smoker, the current temperature of the smoker, the current meat temperature, and current output of the fan. 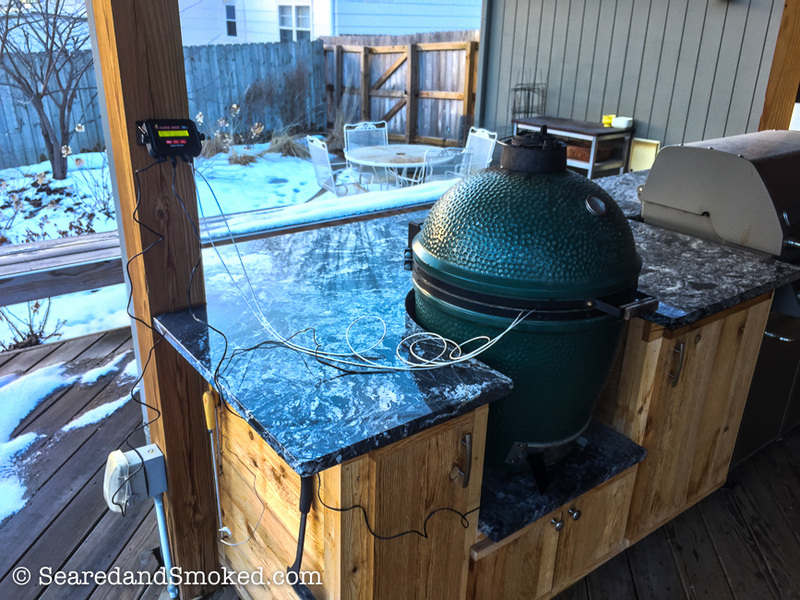 When in the default display, the up/down arrow adjusts the target temperature for the smoker, which is just the way it should be. The other display menus are below. You can setup timers to alert you when to check your meat or set alarms to warn you of high pit temperatures or high meat temperatures. If you input your cell number into the online interface, it will send you text messages as needed. Pretty cool feature as another safe guard. The interface on the computer or mobile device is very easy to setup and easy to use. You will be asked to setup a username and password and verify your device. From there, you can access your Flame Boss from any internet connection through a web browser. 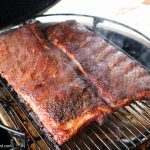 You can change the smoker target temperature from your phone or laptop and monitor the current temperature of your smoker and meat. At this point…. I am in love! I can now monitor long smoking sessions from work, the golf course… anywhere! Below are a few screen shots from my iPhone. You can see the same default settings you would see at the device, with the ability to adjust the set temperature. 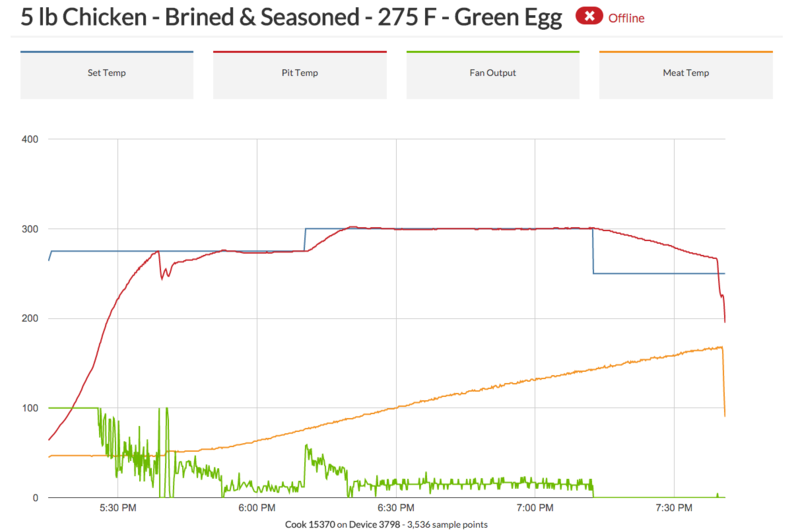 The flame boss website tracks Set Temperature, Pit Temperature, Meat Temperature, and Fan output. One of the best features of the Flame Boss WiFi 200 is the data collection and graphing function that is embedded within the computer interface. Every time you power up the Flame Boss and smoke anything, the data is automatically collected. 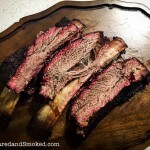 You can then name the smoke session, Spicy Baby Back Ribs and such, and then revisit the data at a later date. 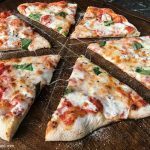 You can also make notes about the cook and share the data on Facebook or Twitter. This is basically the best smoking journal a guy could ask for. I am in love. Deeply in love with this product. Your Flame Boss 200 WiFi is automatically updated with the latest software as it comes out, which is great. I hate complicated update processes. This takes care of that. I did have one glitch during an automatic update and called the support team at Flame Boss. I was immediately connected with a real live person and they helped me resolve the issue within a few minutes. Very pleased with their support and I would expect similar support if needed in the future. I take my hat off to the team over at Flame Boss. 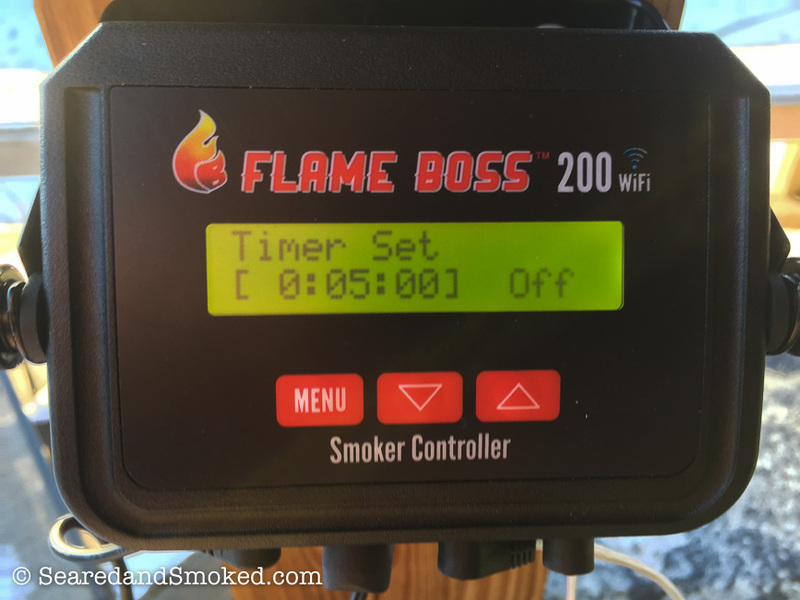 The Flame Boss 200 WiFi works as advertised and has awesome built-in tools that that allow you to improve your smoking methods, all packaged in a simple device with a user friendly online interface. 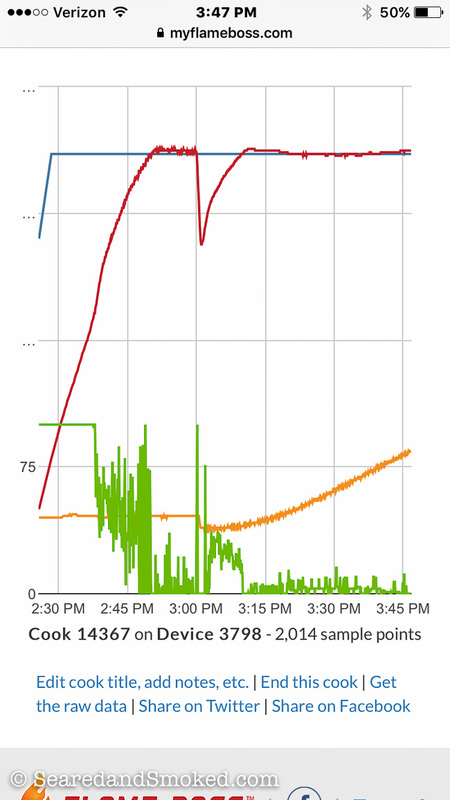 Below are some graphs of smoke sessions, showing the exact performance of the Flame Boss. 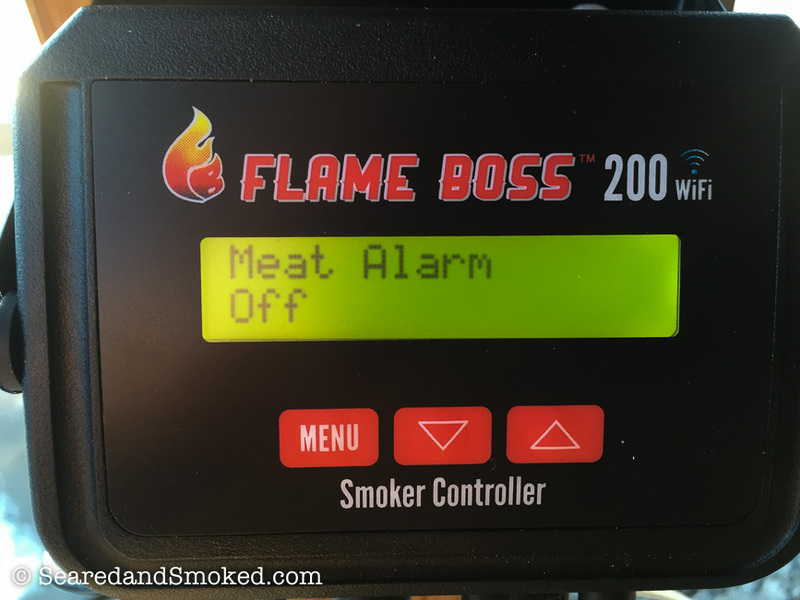 If you love smoking meat and want to simplify the process and elevate your results, go with the Flame Boss 200 Wifi. Once again, you will notice a slow response to lowering the target temperature. This is due to the large thermal mass of the Big Green Egg. I was just experimenting with the flame boss. 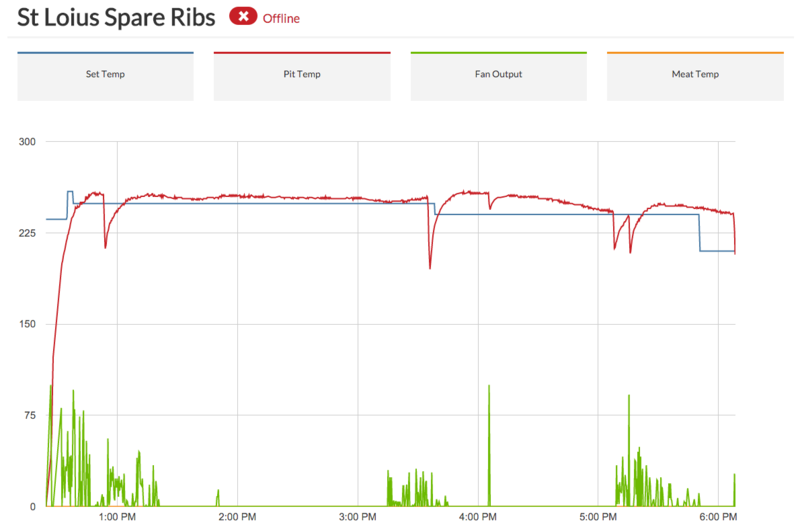 For the second graph, I was not monitoring the temperature of the ribs, as I usually just go by look and feel. 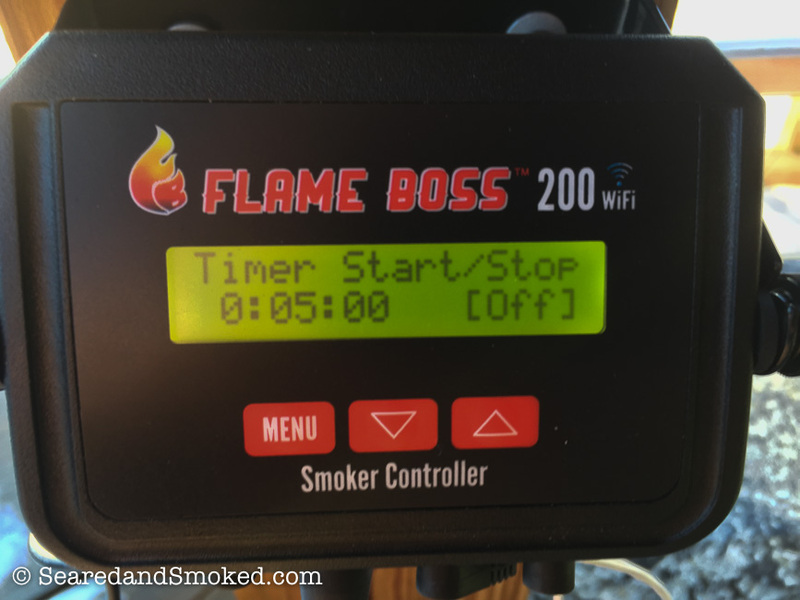 I highly recommend the Flame Boss 200-WiFi. If you want to spend a little less money and do not care about WiFi access, check out the Flame Boss 100. Personally, I think the WiFi unit is a no brainer. After you use the Flame Boss WiFi 200, you will not know how you ever survived with out it. Big props to the folks over at Flame Boss for a quality product that is so easy to use. I look forward to seeing what they come out with next.